While nutritionists sometimes dispute the hazards of saturated fats, which occur naturally in meat and dairy products, they tend to agree on the unhealthy consequences of partially hydrogenated oils (or trans fats). In the process of hydrogenation, food manufacturers chemically alter the structure of vegetable oil; partial hydrogenation results in trans fats. This inflammatory ingredient raises your bad cholesterol (LDL) while lowering your good cholesterol (HDL), making it a major contributor to heart disease. The U.S. Food and Drug Administration now requires all food companies to phase out artificial trans fats (or partially hydrogenated oils), and the average grams per serving in reformulated products has been dropping steadily. However, many products containing trans fats still sit on store shelves—and may for years—as distribution cycles through. Watch out for packaged cookies and other manufactured bakery products, vegetable shortening and margarine, frozen pizzas, packages frozen meals, non-dairy coffee creamers, microwave popcorn, and canned frosting. With hydrogenation, liquid vegetable oil turns into a semi-solid or solid fat. According to the FDA, manufacturers use hydrogenated oils to improve the texture, flavor stability, and shelf life of packaged foods. Partially hydrogenated oils contain trans fatty acids. These trans fats upset the balance between the good and bad cholesterol levels in your body, by both raising the bad and lowering the good. This ratio has been linked to a myriad of lifestyle diseases, including heart disease, stroke, and type 2 diabetes. Fully hydrogenated fats—processed in the same way—contain virtually no trans fats. The resulting product is firmer than its partially hydrogenated counterpart and has a hard, waxy consistency, even at room temperature. Fully hydrogenated products do contain saturated fat though, in the form of stearic acid, which contributes to the risk of heart disease. Since 2006, the FDA has required manufacturers to list the trans fat content of their products on their nutrition labels. But some foods containing partially hydrogenated oils may be labeled "trans-fat-free" or list 0 grams of trans fats in the nutrition chart. That's because products that contain less than 0.5 grams of trans fats per serving are classified as trans-fat-free by the government. 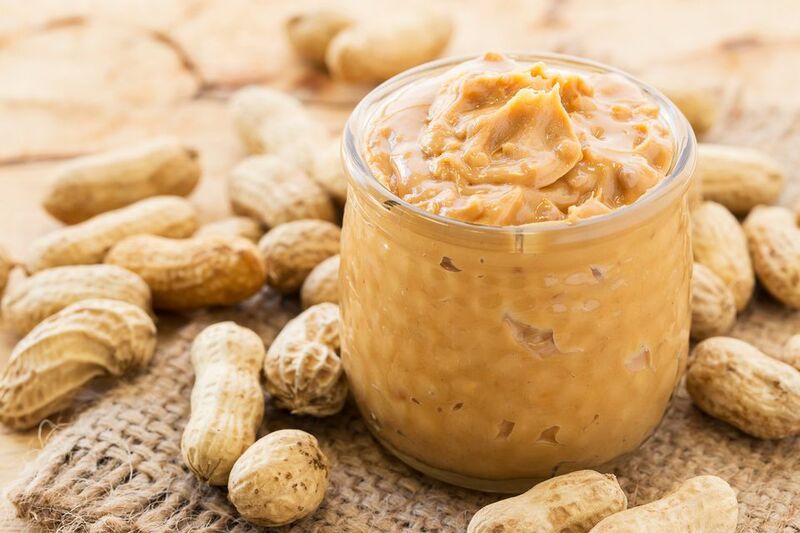 Some brands of commercial peanut butter, for example, contain a small amount of partially hydrogenated oil to prevent separation on the shelf, but can still be marketed as free of trans fats. However, if you eat more than the suggested serving size, those fractions of a gram add up, and suddenly the amount of consumed trans fats becomes measurable. Beware of any package that simply lists "hydrogenated oil" in the ingredients without specifically stating whether it is partially or fully hydrogenated. Sometimes the terms "hydrogenated" and "partially hydrogenated" get incorrectly interchanged. Products with fully hydrogenated oils are actually trans-fat-free, but when manufacturers market that as a benefit, it adds to the misconception of a healthy alternative. It's important to read the ingredients list on all packaged foods and for the healthiest choice, steer clear of any product containing any form of hydrogenated oil.